Omega Learning® Center - South Forsyth is our community's "Educational Resource" for a wide variety of diversified tutoring programs and services. Homework Homework Help for Specific Subjects: Omega's Homework Help program covers ONLY homework help for specific school subjects including physics, chemistry, statistics, biology, humanities, physical science, history, English/literature, as well as all Honors and AP classes. Students must attend a minimum of two hours per week. Families can save by purchasing a 45-hour homework help package. Projects Project Help/Exam Proctoring: Omega's certified teachers are also available to help students understand and complete school-year OR summer projects. Families can save by purchasing a 45-hour tutoring package. Summer Summer Tutoring / Summer School: Omega's customized summer tutoring programs include a variety of academic and enrichment boot camps for math, reading and test prep. Our summer programs are specifically designed to help your student catch up and/or jump ahead before their next school year. 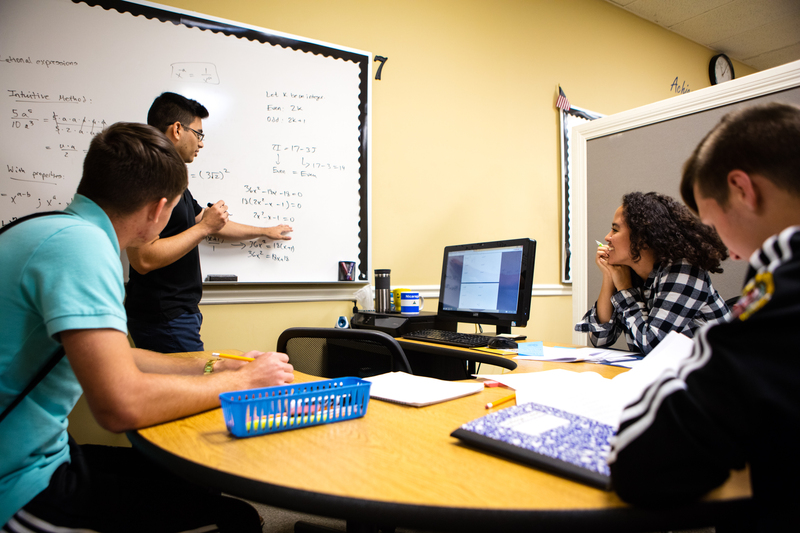 Because of Omega's AdvancED accreditation, our customized summer school tutoring programs are available for class credit and/or credit recovery for high school courses. *ACT is a registered trademark of ACT, Inc., which was not involved in the production of, and does not endorse this program. SAT, PSAT and AP are registered trademarks of the College Entrance Examination Board, which was not involved in the production of, and does not endorse this program.